Faceplate attaches directly to Winch Mounting Tray, sold separately. Polished stainless steel finish with cutouts for winch cable and tow hooks, all sold separately. 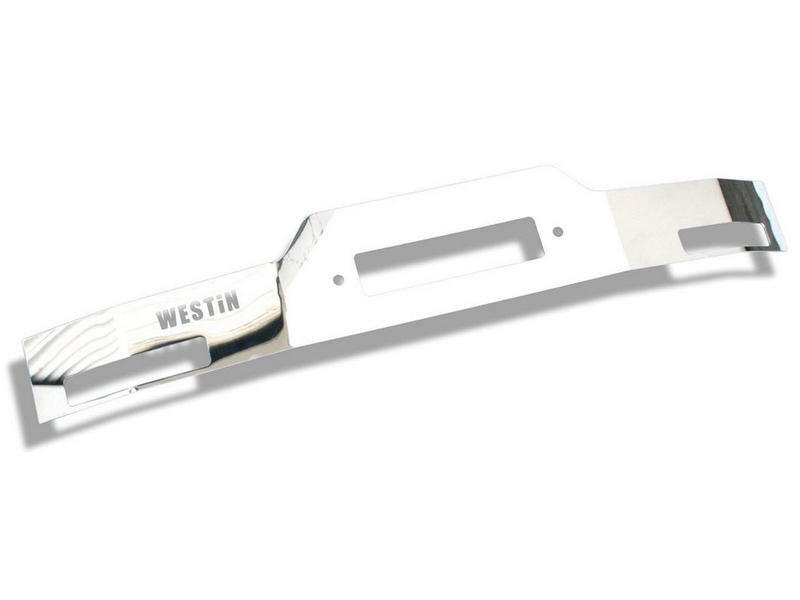 Westin Automotive Products, Inc. is a manufacturer of premium quality truck and SUV accessories. Westin was built on the philosphy that a product should work, look good, and last. This certifying that a product had to be designed right, made of quality materials, and that it would survive normal wear and tear for three years or more. We still do it this way.